From The Milkman: The Milkman is back with a brand new flavor! 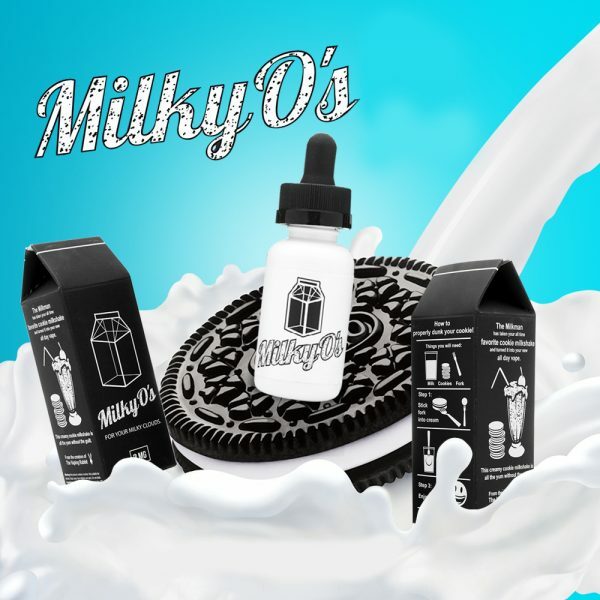 The geniuses behind the Vaping Rabbit line of premium e-juice are taking us all on our third high-flavor journey with Milky O’s by The Milkman. This time, The Milkman has taken your all-time favorite cookies and cream blended milkshake and crafted an e-liquid with all the chocolate, milky, cookie, creamy flavor your heart desires, with none of the calories and none of the guilt! You can even pair this with an actual cookies and cream milkshake and have double the flavor and keep all the guilt! You’ll receive no judgment from The Milkman.